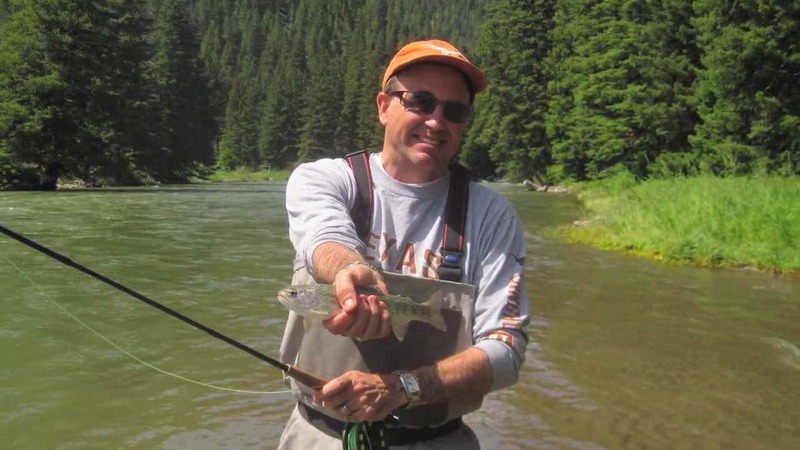 Enjoy a Walk and Wade fly fishing trip with an experienced guide on the Gallatin River. 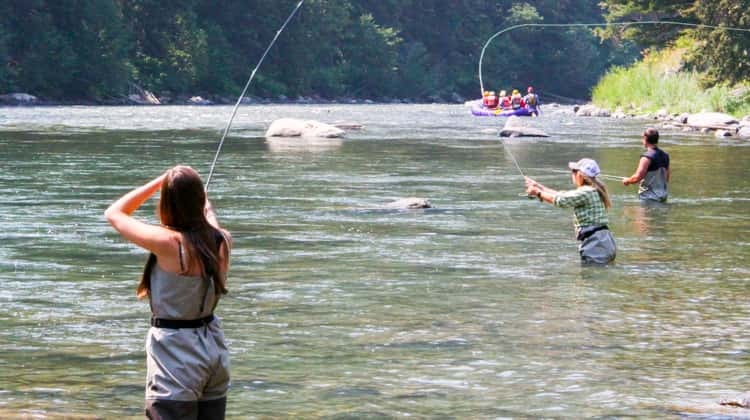 There is no fishing from a boat allowed on the Gallatin, so your guide will be able to take you to some great holes and give pointers on how to improve your skills. These trips are really designed for folks with at least a little fly fishing experience, but who still have a desire to improve, to learn this river area and enjoy a beautiful day outdoors! The Gallatin River starts in Yellowstone Park, one of the purest water sources in the world. 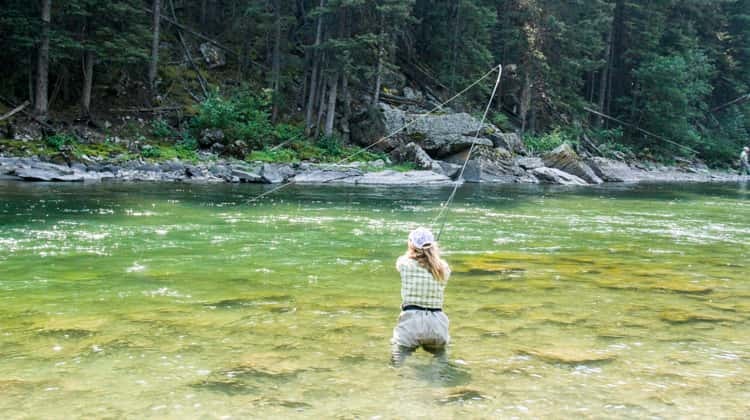 For 50 miles, it flows through rocky canyons and picks up more pure mountain water from crystal clear tributaries. 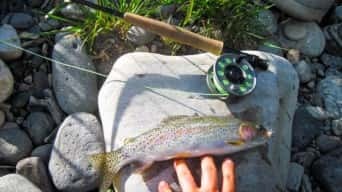 It is a paradise for trout and a world famous fly fishing stream. 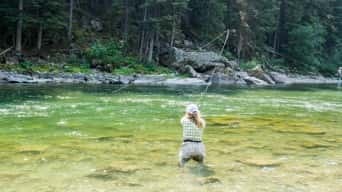 The Gallatin River offers excellent “dry fly” fishing in beautiful surroundings and has famous scenery seen in the movie, “A River Runs Through It.” The trout are not picky eaters here, which makes the Gallatin River an excellent place to learn how to fly fish. The brown trout and rainbow trout average around 12 inches, with 16 inches considered a large trout – although some Biggies exceeding 20 inches can be found! Early Reservations are highly recommended and are the only way to get a guaranteed trip. 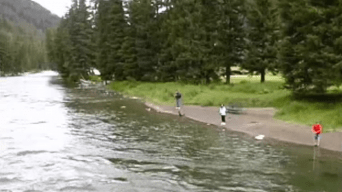 Each person 12 and older must purchase a fishing license prior to your trip. 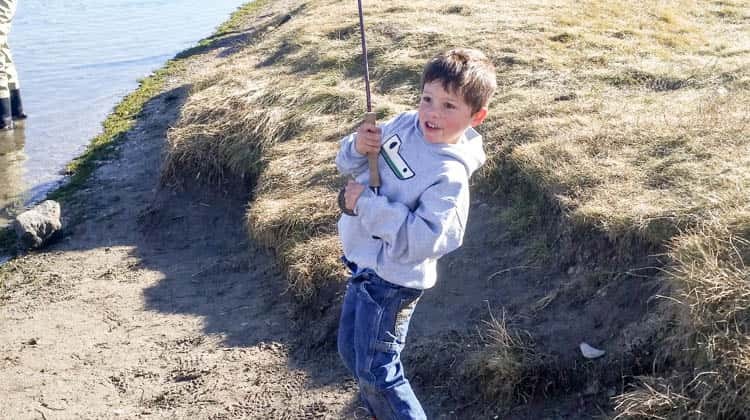 A two day fishing license is $50 for non-residents. Anyone 11 and under does not require a license if they are with an adult who has already purchased one. 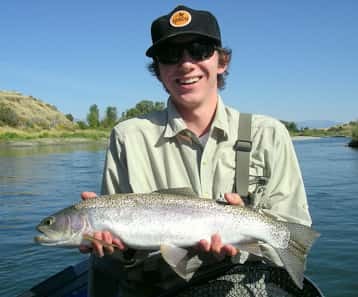 Fishing with a hookless fly is an option if you do not wish to purchase a license but would still like to participate! By one at a local retailer or purchase a license online. Lunch- Deli sandwich sack lunch included in the full day. We need a minimum of 2 people to run this trip and a maximum of 4 per guide. 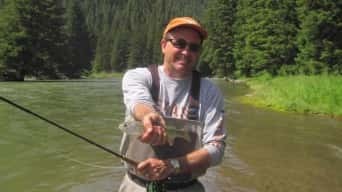 Join us for an introduction to fly fishing on the Gallatin River ~ one of the best wade fishing rivers in Montana. 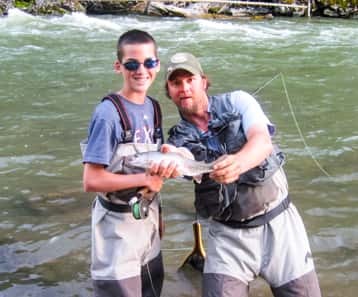 You and your family can get a taste of the sport without breaking the bank!